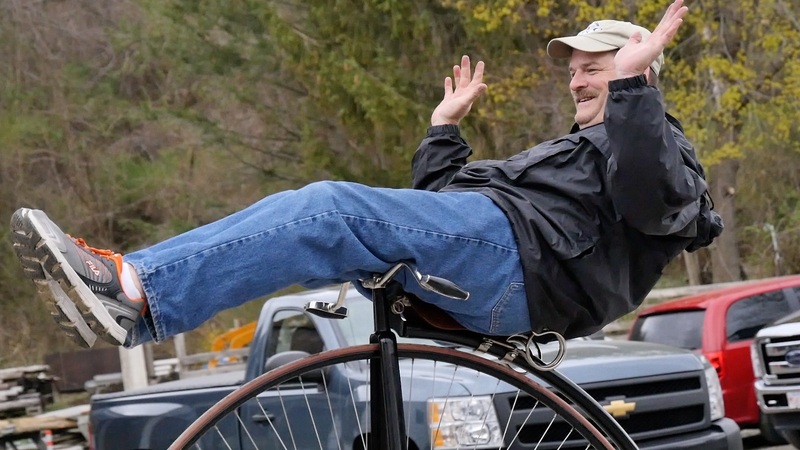 A whole world converged on Copake, NY, — the world of antique bicycle collectors! Why neighboring Copake which, unlike Pine Plains, does not even have ONE traffic light? Because of the 26th annual Antique Bicycle Auction at Copake Auction. They came from all over the country and Canada and parts of Europe just to buy, sell, talk, ride bicycles and hang out with each other. To enjoy this video in full frame high definition click the little arrow box on the lower right corner of the screen. Here is a post auction article on the Copake Auction website with details about the auction and sales results.